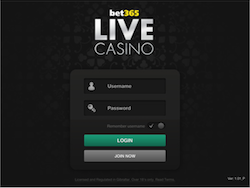 As one of the world’s leading online casinos it’s only to be expected that Bet365 would offer a compelling mobile site. Mobile usage via tablets and smartphones is increasing all the time and it’s now absolutely necessary for casinos to make their products available to as many users as possible. 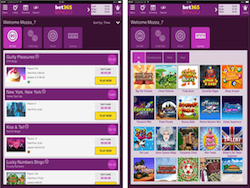 Bet365 Casino – This is the equivalent of the ‘Casino’ section of the website and features Playtech mobile slots (including progressive jackpots), table games, video poker and some live Blackjack, Roulette and Baccarat. 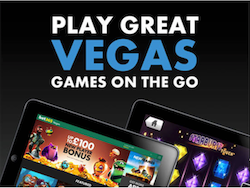 Bet365 Vegas – This is where you’ll find Net Entertainment’s mobile slots. 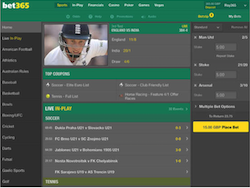 Bet365 – Here you will find all the sports betting you could possibly imagine; have a flutter on football, cricket, rugby or any number of other sports any events. Bet365 Bingo – This is the bingo section so if giant marker pens and amusing number metaphors are your thing, check it out. 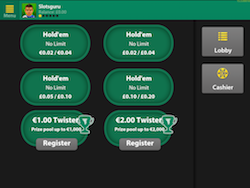 Bet365 Poker – Don your baseball cap and sunglasses, stack your chips and dive into Bet365’s extensive poker app. 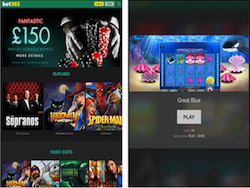 Bet365 Live Casino – Very few online casinos offer the ability to play live games in a mobile format but you can here so fire up this app for some personal contact with the croupiers and dealers.